Hong Kong is renowned for its skyscrapers, rooftop bars, incredible views, and fine dining. It is truly a 24-hour, 365-day city and is well worth visiting at any time of the year. Shoppers have often heard it said that “if you can’t find it in Hong Kong it doesn’t exist”. There are probably more than 50,000 shops, ranging from vast air conditioned shopping centres to traditional and noisy open-air markets offering leather goods, tailor-made garments, jewellery — the list is endless. 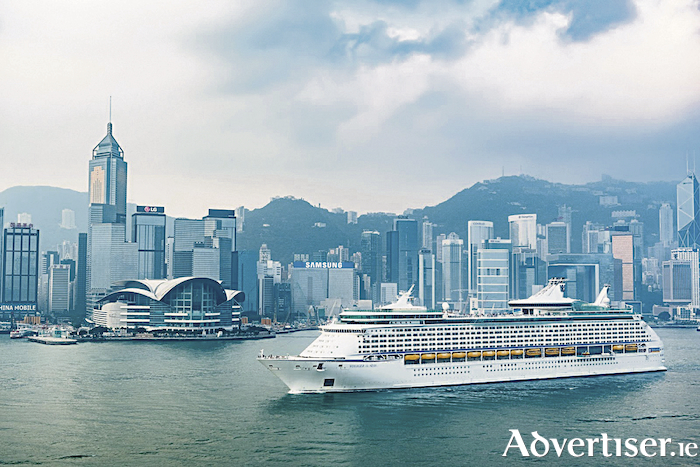 Top of the list to experience is the famous eight-minute ferry trip between Hong Kong and Kowloon, considered one of the top ferry crossings in the world. Another eight-minute trip, on the peak tram, will bring the visitor to the not-to-be-missed superb 360-degree view of the city harbour over to the New Territories from Victoria Peak. For families and the young at heart a visit to Disneyland is a must. A popular trip is a visit to Macau, a Portuguese colony for more than 300 years, which has much to offer, whether it’s immersing yourself in the glamour and glitz of the casinos, surrounded by the opulent and all-inclusive entertainment on offer, or soaking up the rich diversity of the Sino-European history and culture of the city, with areas of great natural and architectural beauty. Macau is a city of blended cultures and the historic centre of Macau provides a testimony to the meeting of aesthetic, cultural, architectural, and technological influences from East and West. Regardless of what your budget is, the best places to stay in Hong Kong really are a matter of opinion. Each area has its pros and cons, but since the city has great public transportation, it does not really matter too much where you stay. Central: This may be the financial core of Hong Kong, but Central is an attractive place to stay since it is located near Lan Kwai Fong and Victoria Peak, two of the most popular spots in the city. Notable attractions nearby include Man Mo Temple, the Mid-Levels Escalators, and the International Finance Center. Tsim Sha Tsui: Located at the base of Kowloon (the mainland of Hong Kong ) is Tsim Sha Tsui (commonly known as TST ), a popular spot for tourists. The biggest draw is most likely the proximity to Victoria Harbour which will give you stunning views of Hong Kong’s skyline. You will also be able to access the Avenue of Stars, Hong Kong’s version of the Hollywood Walk of Fame. Other attractions nearby include Nathan Road which is famous for its neon signs, restaurants, and shopping options. Whatever you decide, Corrib Travel can help you plan an unforgettable holiday in Hong Kong and many other Asian destinations. Call Corrib Travel on 091 564713 or visit the office at 2 Eyre Square, Galway.